Bolt and Chronos are 50% off during Cyber Week! The Mega Sale is back with huge discounts on Unity assets. 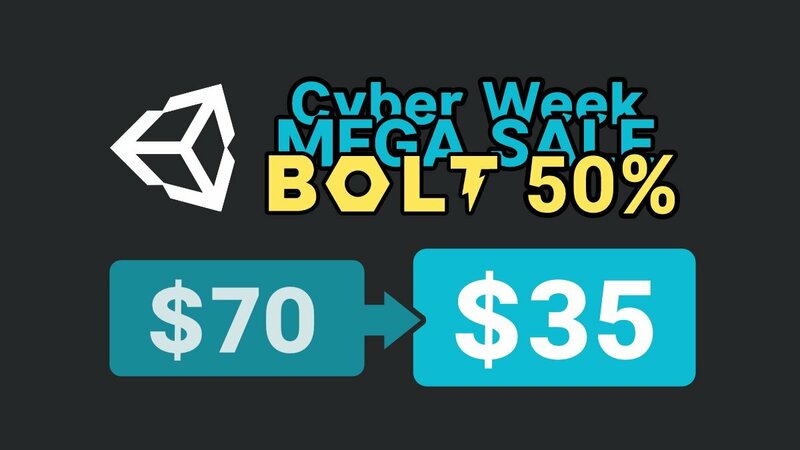 The Cyber Week Mega Sale is back at the Unity Asset Store with hundreds of assets at majorly discounted prices. Or, you can an ever bigger 55% rebate with the new Essentials for Professionals bundle, which includes Bolt and many other must-have Unity editor extensions like Odin, DOTween, Amplify Impostors and more. Act fast! These deals are available until December 7 at Midnight PST. We're looking for a talented programmer to join the Ludiq team on Bolt. A quick and transparent FAQ to answer any question you might have.